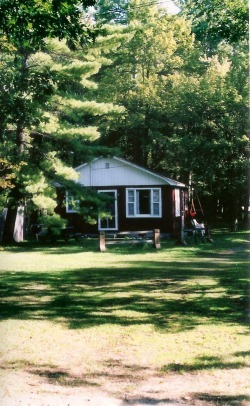 There are 3 cabins along a private lane. Each cabin sleeps 6 and are very similar to each other. There are two bedrooms with double beds and a futon in the living room. Blankets and pillows are provided, but you will need to bring your own linens. Small dogs only are allowed with prior permission and a separate cleaning fee will be applicable.